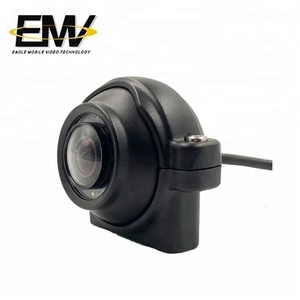 4.Does your Company support OEM or ODM service9 Yes, our company has our own R&D department, and factory , can support OEM & ODM Service. 7.How do you give technology support9 Normally,we can give technology support by phone or on line , go to clients&rsquo; pc to give remote support via Teamview. But actually we give Lifetime maintenance services, over the warranty period, only need to pay the cost of replacement parts , other maintenance services are free. 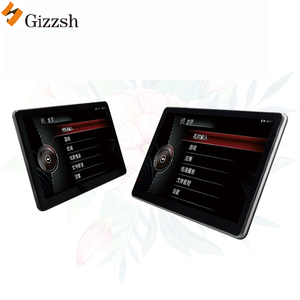 10.1 inch 4G LTE Tablet VESA mounting Android Car Headrest Monitor with GPS function Specifications 10.1 inch 4G LTE Tablet VESA mounting Android Car Headrest Monitor with GPS function SPECIFICATIONS Processor SPREADTRUM SC9832, Quad core Cortex A7 1.3Ghz O. 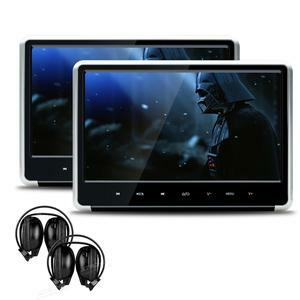 S Android 6.0 Display 10.1"IPS panel,Resolution 800*1280,5 points touch capacitive screen RAM 2GB DDR3 Storage 16GB(32GB optional) WiFi IEEE 802.11 b/g/n network Camera front 5.0MP GPS Support Bluetooth Support FM Support 2G/3G/4G Support ATV N/A G-Sensor Support I/O Ports Micro USB port,DC charge port,TF card slot,earphone jack Battery 700mah battery Accessories USB cable,OTG cable,user manual,power cable,car charger,bracket,box Warranty Warranty Time One year Contact Info. During the warranty period,if there is something wrong with the goods due to the quality,customers can send the goods back to our factory for free maintain. 4. after sending, we will track the products for you once every two days, until you get the products. Q1. What is your terms of packing9 A: Generally, we pack our goods in neutral color boxes and brown cartons. Q5. Can you produce according to the samples9 A: Yes, we can produce by your samples or technical drawings. 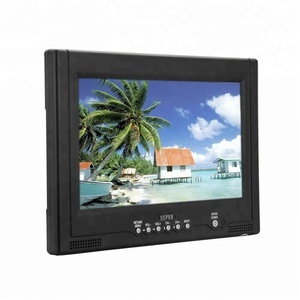 7 inch headrest monitor with dvd player + SONY Loader Item Model No. 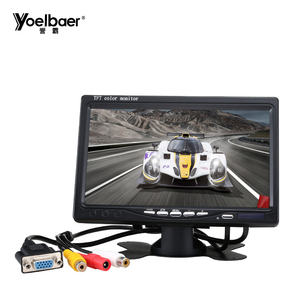 Game function, both support 32 bit wire and wireless games 3). Multiple languages subtitle, can add languages as per customer's requirements 8). 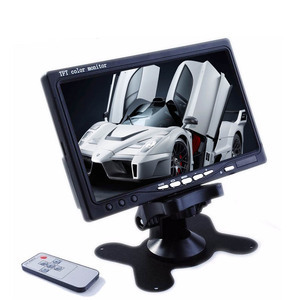 Alibaba.com offers 9,411 car headrest monitor products. About 90% of these are car video, 1% are advertising players, and 1% are touch screen monitors. 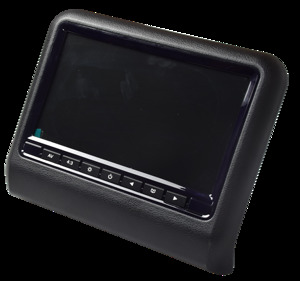 A wide variety of car headrest monitor options are available to you, such as free samples, paid samples. 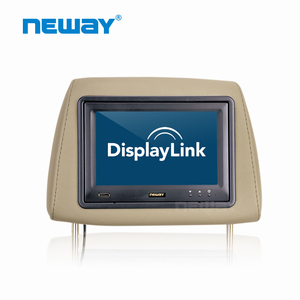 There are 9,274 car headrest monitor suppliers, mainly located in Asia. 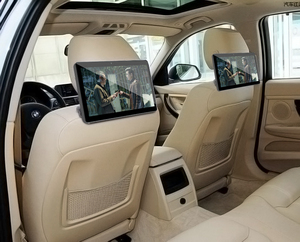 The top supplying countries are China (Mainland), Hong Kong, and South Korea, which supply 99%, 1%, and 1% of car headrest monitor respectively. 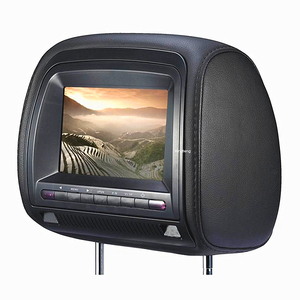 Car headrest monitor products are most popular in South America, Domestic Market, and North America. You can ensure product safety by selecting from certified suppliers, including 2,556 with ISO9001, 403 with Other, and 284 with ISO/TS16949 certification.